Manchester United are reportedly stepping up their interest in Italy international striker Andrea Belotti, according to transfermarketweb. The Premier League side, who kept hold of sixth spot in the top-flight table following Saturday’s 2-0 victory over Watford at Old Trafford, have been linked with luring the Torino star to The Theatre of Dreams this summer. The 23-year-old, who has five international caps for his country, has impressively scored 19 goals and provided four assists in 24 appearances in all competitions for the Serie A outfit so far this season. 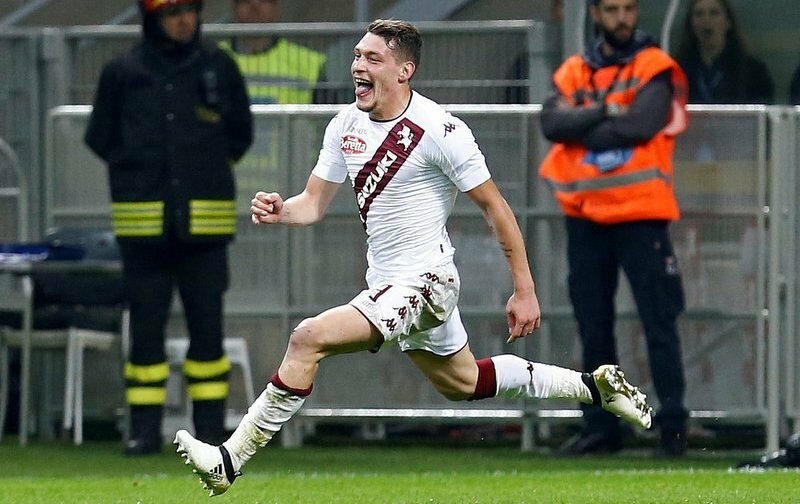 Belotti, who is also said to be attracting interest from Premier League rivals Arsenal, Chelsea and Liverpool, is understood to have a whopping £84m buy-out clause after penning a new deal with Torino back in December 2016. The report suggests The Red Devils are closely monitoring the Italian’s goalscoring exploits, who could serve as a long-term replacement for fellow forward Zlatan Ibrahimovic at United, despite the Swede being tipped to extend his stay at Old Trafford by a further year this summer.